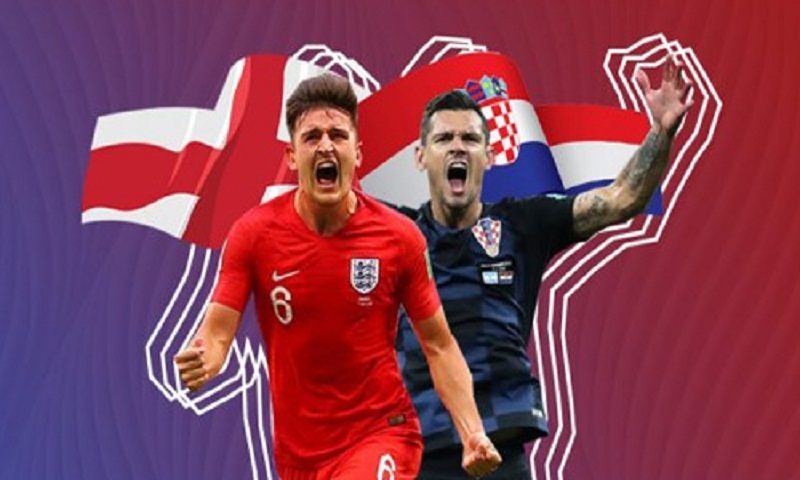 Just one match separates England from their first World Cup final since 1966 and Croatia from their maiden appearance in the summit clash of the mega event as the two sides set to lock horns in the mouth-watering FIFA World Cup 2018 semi-final clash at Luzhniki Stadium on Wednesday (Bangladesh time 12am). As World Cup fever builds at home, England are avoiding the hype as coach Gareth Southgate prepares his team in their tranquil base near St. Petersburg for their first semi-final since 1990. England progressed to the last four of football's flagship tournament for the first time since 1990 with a 2-0 win over Sweden on Saturday while Croatia advanced by overcoming hosts Russia on penalties. While many England fans are surprised by the unheralded team's progress, midfielder Dele Alli says the squad always believed they could go far. "We had to believe and we know how talented we are as a squad," he said. Southgate has told his players they have the potential to be bigger heroes even than the team featuring Bobby Moore and Bobby Charlton that win on home soil in 1966. Captain Harry Kane is leading England's charge with six goals so far, putting him top in the race for the Golden Boot. Lukaku is on four goals and Griezmann and Mbappe have three each. Croatia can count on Real Madrid's midfield talisman Luka Modric, named man of the match three times in Russia, but his teammate Andrej Kramaric says England's lack of superstars is what makes them a cohesive unit. "England was one of the favourites for me for the tournament because they have a young and hungry team with no big, international stars, so it won't be easy for us." Goalkeeper Danijel Subasic and right-back Sime Vrsaljko, who both picked up an injury against Russia, and centre-back Dejan Lovren were all absent from the part of the session open to media. Croatia excluded former international Ognjen Vukojevic from their delegation on Monday for posting a pro-Ukraine video clip following the win over Russia. He was also fined by FIFA. Defender Domagoj Vida escaped with just a warning from FIFA, which bans political statements, for also appearing in the video and shouting "Glory to Ukraine!"